Really Pride and Prejudice...was there any doubt. Fitzwilliam Darcy is and always will be my very first book boyfriend. This was back before boyfriends were a 'thing'. I've been accused by many as being a book boyfriend hoarder. 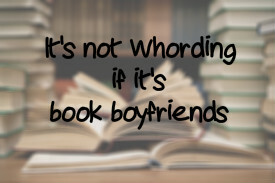 However, I would give up all the book boyfriends in all the land for Mr. Darcy if I have to keep one. You see - the fabulous Jane Austen introduced me to the world of romance. And not just the bodice ripping, caveman claiming type. But those books could have strong characters - female leads - and capable of real life mistakes all the while getting to the Happily Ever After. I found Elizabeth and Darcy as a young 15 year old girl trying to find summer entertainment. I lived on a ranch secluded in the Northern California Mountains. Dry hot summers without air conditioning and TV was only seen on channel 7 in seven images making me turn to the local library for fun. Now I use library loosely. It was a community table in the small post office. There is where I found a very well used copy of Pride and Prejudice. That copy never made it back to the table. I re-read the story so many times. 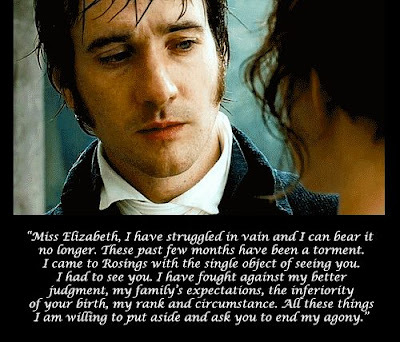 Hoping that Elizabeth would see the vulnerability in Darcy. And Darcy would see past his own carefully determined world to see Elizabeth. The characters never listened to me - especially when I told Mrs. Bennett to "hush". Although I went through what I call Genre Binging, you know all Stephen King or all spy novels, I will pick up P&P to read cover to cover once per year without fail. And I'm not the only one. There are fans EVERYWHERE! 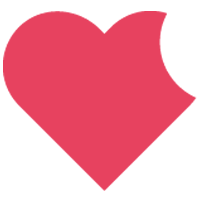 See although there are many new book boyfriends to be dreamt about, they have these qualities. Mr. Darcy set that bar. Elizabeth is who I consider my first girl crush. Strong, fierce and independent. She was Wonder Woman before William Marston considered giving girls a literary role model to aspire to.